You have to be living under a rock to not know the magical elixir – coconut oil. Yes, you read that right. This affordable and easily available item is taking everybody’s world by storm, and if you haven’t boarded the hype train, then it’s time for you to do so right now. 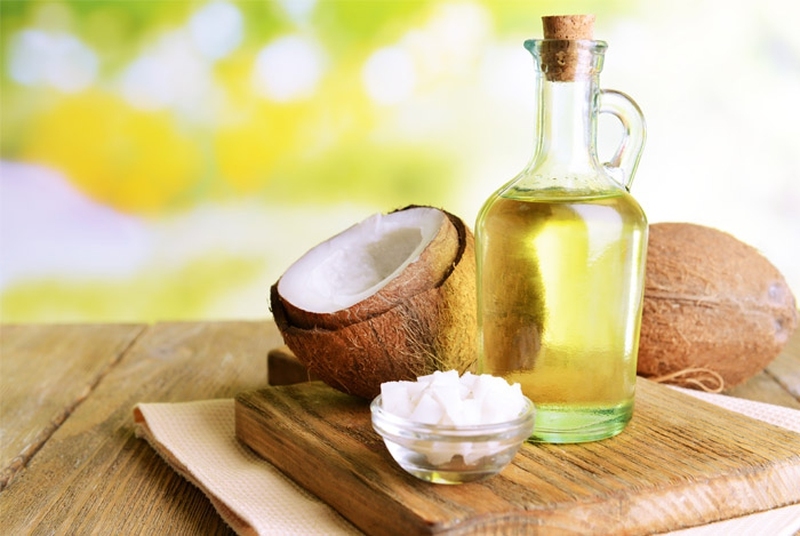 Right from cleaning to cooking to beauty – coconut oil has a use in almost every department imaginable. And today, we will be sharing with you how coconut oil is literally the cheapest skin treatment you’ll ever need and find. Coconut oil sure is a cure all when it comes to the human skin, and if you don’t believe me, all that you have to do is to go through all the points mentioned below to change your mind. You ready? Now this might be hard to believe since coconut oil is, well, an oil. But it contains fatty acids which are anti-bacterial and anti-inflammatory in nature. Not only do they help in reducing pimples, decreasing acne breakouts and soothing inflammation, but also lessen the dryness and mild pain associated with red, itchy or patchy skin. You have hair conditioners for your hair, right? Similarly, coconut oil acts as an excellent conditioner for your skin. Bonus: this oil can be quickly absorbed by your skin, especially if your skin is dry. Remember to always use a very tiny amount, because this oil spreads very easily. Not only can you use coconut oil for skin of your face, hands and legs, but also it works wonderfully as a healing agent for cracked heels, which we all know can be a big headache especially in winter. If you’ve hurt or cut yourself, or if you’re feeling your skin is too red from scratching or due to a medical condition, then all you have to do is pour a little bit oil on the affected area, rub it gently for a while, and voila! You’re done. The oil may or may not help you get rid of the problem entirely, but it will definitely minimize it. Didn’t see this one coming, did you? But it’s true. You can go ahead and stop buying those expensive makeup removers with loads of chemicals in them. All you have to do is pour a little coconut oil into a cotton swab and wipe your makeup with it. And yes, it’ll even remove your ultra matte lipsticks and waterproof mascara. If your eyebrows are over plucked or your lashes are too thin, don’t worry. All you need to do is to rub a few drops of coconut oil on your brows or lashes, twice a day. It helps stimulate hair growth and within a few weeks, you can see a difference in the density of your brow or lash hair. With a natural SPF of 4, you obviously cannot use it as a substitute for sunscreen or sun block. Even so, applying a small quantity all over your body ensures that for very brief periods of time, you can actually protect your body against the effects of solar radiation. Talk about advantages of coconut oil for skin, right? If your skin has been damaged due to overexposure to the sun, then coconut oil will come to your rescue. It has antioxidants present in the oil, which help in reducing the chain reaction of oxidative stress. The oil very gently repairs and rejuvenates your skin and gets rid of all the blistering, peeling, cracking and sunburns on it. It also works wonderfully by minimizing any pain and inflammation. If you’re investing money in expensive body massage creams or oils, don’t! Coconut oil again comes to your rescue. Use it to rub over every inch of your body. Not only will you get your job done, but at the end of the massage your skin will also be left feeling soft, smooth and supple. It's just a wonder oil! The free radicals and antioxidants in coconut oil easily help slow down your skin’s ageing process. Not only that, it also helps in reducing the number of wrinkles you have on your skin, including the fine ones. There really is no end to the wonders of coconut oil for skin. Here comes another benefit. So, just before going to sleep, dab a drop of oil under your eye and with your ring finger, gently massage that area for 10-15 seconds. Not only will it help get rid of dark circles, but it will also help tighten any fine wrinkles present there. Even expensive cuticle creams cannot give you the result that coconut oil can. Not to mention the fact that its anti-fungal properties help keep infections at bay in your feet and hands. Not only does applying coconut oil prevent razor burns, but it also moisturizes your skin while you’re shaving hairs from it. Really, what more could you want from your shaving cream?